China is the biggest automobile market on the planet and there is no possibility that a car manufacturer would not consider it. We reported, a while back, that Ford is developing a long wheelbase version of the EcoSport that will be exclusively made for the Chinese market. 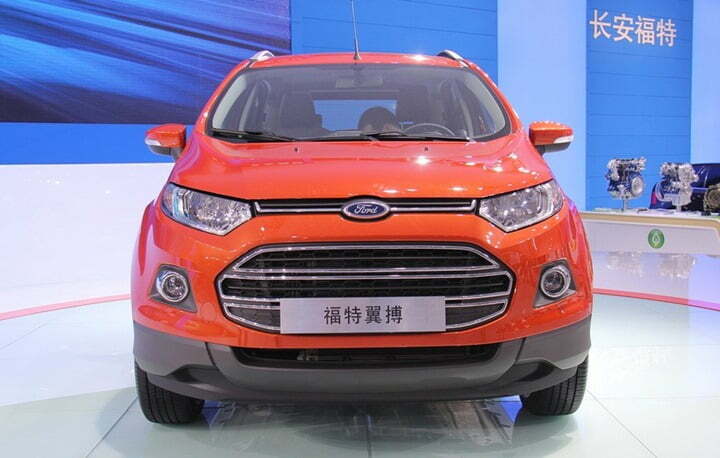 It was the sheer importance of the Chinese market that encouraged Ford to develop a longer EcoSport. And what we hear next is that Changan Ford, a joint venture firm that manufactures and sells Ford cars in China has unveiled the long wheelbase version EcoSport SUV at the 2012 Guangzhou Auto Show that commenced yesterday. While we expected some significant increase in the length, the elongated EcoSport is only 39 mm longer than the Brazil and India spec EcoSport. Of the 39 mm, 9 mm comes from the extended wheelbase. Interestingly, unlike India, China does not follow a sub-4 meter norm which is good in some ways. In this particular case, since Ford was not bound to make an under-4 meter EcoSport, it has given a stretch to the wheelbase making it more spacious and comfortable for rear passengers. The Chinese EcoSport will come equipped with a 1.5 litre petrol engine which is good for 109 BHP of max power and 138 Nm of peak torque. Transmission options would include a 5 speed manual one and a 6 speed Powershift automatic unit.The same engine is claimed to deliver a fuel economy of 15.4 KMPL which is quite impressive. As far as the 1.0 litre EcoBoost engine is concerned, it is expected to arrive not before mid 2013 in China as the Changan-Ford engine manufacturing facility is yet to become operational. 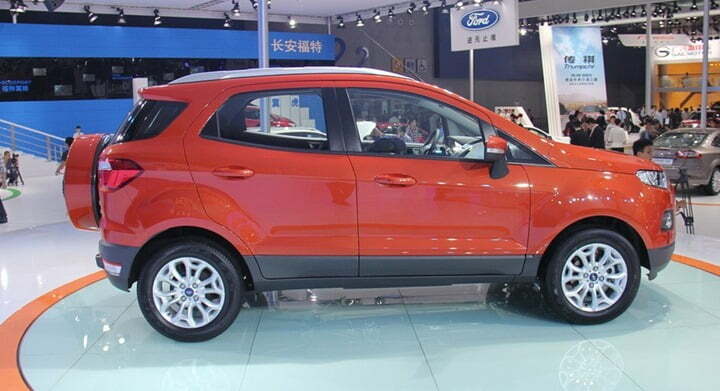 The Chinese EcoSport is available in three variants- Comfort, Fashion and Titanium. The Powershift automatic gearbox will be available on both Fashion and Titanium variants. Ford China also assures that the Powershift automatic variant is as fuel efficient as the standard model, which again means a treat for automatic car lovers in China. 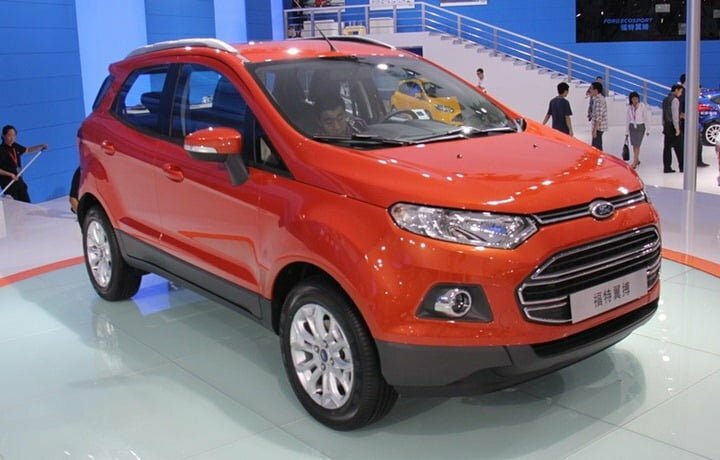 The EcoSport will go on sale in China starting December 2012 and will be priced between Rs. 8.5 lakh and Rs. 12.5 lakh.